Open till midnight on weekends, Gerry Frank's Konditorei serves gourmet cakes and coffee to couples, friends and families after a night on the town. Gerry Frank is one of Salem's movers and shakers with a resume that includes being chief of staff to Senator Mark Hatfield, heir to the Meier and Frank department stores and popular author. In 1981, Gerry opened this Austrian style cafe with his friend Barney Rogers and they've remained at the Commercial Street location ever since. For $5 a large slice, you can choose between about twenty different types of cakes. I recommend the Chocolate Cream Cheese cake. It's probably the moistest of the selection and has a rich cream cheese frosting that gets gobbled up quickly at my table. Other cakes that I have tried include Marionberry, Barney's Black Out, and Italian Cream, not all in one visit. They also serve a variety of other sweet desserts like cookies brownies, and assorted pastries. Konditorei is open for breakfast, lunch and dinner and has very reasonable prices for items such as lasagna, sandwiches and salads. This unique destination is great for taking out of town guests if you want to impress them with Salem's culture. Although I have never seen him in there during my night visits, I'm told Gerry eats there with guests quite frequently. Next time you are out late for dinner or a movie, come see this unique Oregon original for dessert before you head home. I LOVE the Konditerei's hours, but find their desserts too sweet. Yes, I know it's a dessert place, but I prefer more flavor and depth to sugar, sugar, sugar in my desserts. So when I go there, I usually get cheesecake. I've found their regular cakes dry. Also, I think the decor is a bit odd. Some of it feels retro, some of it feels down-homey cafe, some of it feels like it's playing up Salem and some of it feels like it's trying to be something not-Salem. And it's very BRIGHT. Nothing and I do mean NOTHING can compare to Sweet Life in Eugene! Their bakery is to DIE for. The desserts are not too sweet and they even make vegan desserts. My wife and I have been known to drive to Eugene JUST to go to Sweet Life. We've both been to Konditerei and I would have to agree that their desserts are very sweet, almost too sweet. Love the Milky Way Cake !!! A must try, except for the non-sweet fans....Goes great with the coffee. Beautiful and quaint places like these are like Diamonds. Rare and Precious. It makes me very sad to think they're slowly dying as commercial chains gobble up the customers with offers of lower prices and recognised brand names. I make it a point to go here whenever I can find a reason. I love the desserts. they're really an exerience. I always leave feeling happier, and a little more cultured. It's still a great place to take a date to after you've done whatever else you were doing on the date.... I just wish they'd gone a bit more Bavarian than Austrian and had pretzels! Melissa's comments are right on. I completely agree. I hope the owners of Konditorei see this and respond. it's an extremely nice gesture if someone brings you a gerry frank's cake for an occasion, as they are expensive. however, i think i'd prefer a cake-mix cake from a box made at home to one from gerry franks. i know, i know, but for how much it costs to eat their cake, it's just not amazing. its often dry and low on flavor. i cant get excited about eating there. i hate coffee in clear glass, it makes me feel weird. the atmosphere is a bit tea-party-ish for me, but the service is really friendly. i need to try their other deserts like cheesecake and maybe will like them better. i really appreciate that this is an all-ages place that stays open late! we need this in our town, no matter how it's priced! Box cake mix with canned frosting, Duncan Hines or Betty Crocker is always better than cakes at restaurants and weddings. Feeling weird about drinking coffee in a glass mug, that's strange. We should try theis again, because it used to be a sure thing. I recently took a date there and we had a very nice evening. The food was great (crab panini), although I'd prefer fresh fruit over the chips. We finsihed the dinner and we then shared a piece of Gerry's Chocolate cake with ice cream. We had coffee and there is nothing like good chocolate with good hot coffee. The best! I will be back. I want to try the lunch special as it is reasonably priced. Thanks for the good environment for the first date! I go here for the Quiche and the Toni's Torte (which seems to come and go). The crab asparagus quiche is one of the best I've ever had and it comes with a nice side of fresh fruit. Yum! One of my favorite lunch spots in town. Konditorei has been great everytime I've been. BUT how can Gerry Frank put his name on the hot dog up at Mark Lindsay's Rock & Roll Cafe? Worst dog I've ever had... Costco beats it hands down. Dogs at the little league ball parks are better. What's up Gerry? Melissa hit the nail on the head. Frequently dry cake. Overly sweet/rich at times, as opposed to flavorful. Strange decor and way too bright. The employees rarely look too excited to be there. Such a great concept, yet poorly executed. Konditorie is amazing! the cake is absolutley to die for and pretty much everyone that works there is super good looking! I work at the Konditorei and wish to answer to a few things. First, Konditorei is no longer open until midnight on weekends; it is open to 11 pm, but if you come in before, you are more than welcome to stay. We guarantee our sweets to be fresh, so if you find your slice of cake to be dry, speak up and we will gladly replace it. We want you to be happy. I agree that some of the cakes are sugary or too sweet but that is all based on the taste of the individual customer. If the cake didn't sell well, we wouldn't carry it. If you don't like sugary desserts, try the cheesecakes; they have more flavor in my opinion. Also, the cake slices are now $5.75 due to rising costs of ingredients. And, John, make sure to ask for fruit instead of chips with your panini on your next visit. It cost a little extra, but the amount of fresh fruit you get is a great deal. Konditorei has been around for over a quarter of a century so we must be doing something right!! The Konditorei is just how I remembered it from high school. The wait staff was pleasant and helpful on a Saturday evening. My latte was near perfect and that is something coming from me the espresso snob. My peanut butter cheese cake was yummy and my husband loved his carrot cake. My only complaint was the overly bright lights. Other than that, its so nice to have such a unique place here in Salem. I went here with my mom for lunch while she was visiting from out of town and we both agree that we had the best salad of our lives (the Kearney Street salad) and the ham croissant sandwich was also to DIE for!! I thought I died and went to heaven...we also had Snickers cheesecake and carrot cake to go. I liked the cheesecake better, but both were delicious. Absolutely delicious. The only thing I didn't like about the restaurant was how close the tables were to each other. I felt like my elbow was going to hit the person at the other tables elbow while we were eating! Kondetori used to be awesome. I have noticed in the last few years that their cakes are dry and icky. They don't even make most of their cakes and cheesecakes there. They are shipped from Portland. YUCK. A waitperson told us that. I don't go there as often as I used to. There has to be a better bakery in salem. Queen of Tarts http://www.queenoftartsbakerycafe.blogspot.com/ on the plaza level at the Salem Public library. I was also told that Konditorei's cakes are not a made from scratch recipe as they used to be when Jamie Schulte (Queen of Tarts Bakery & Cafe) used to bake for them way back when. Yes costs for baking ingredients have risen but how much does one need to make on one slice of cake? Jamie @ the Queen of Tarts charges between $3.75 & $4.50 on a slice. Jamie's cakes are baked from scratch, using butter NEVER margarine or shortening. The fillings are made with whole berries or fresh fruit when available in season. Frostings are all butter or cream cheese, with pure vanilla and no artificial flavorings. Queen of Tarts uses products locally produced and grown whenever possible. At the Queen of Tarts cafe they give you a choice of fresh cut seasonal fruit salad, romaine lettuce green salad or a cup of homemade from scratch (on-site) soup with your sandwich (they also have chips if you must). None of the choices cost extra. They also have hot dog wraps for the kids or the kid at heart. They are 100% beef and warped in homemade yeast raised dough made by Jamie. Yes, the Konditorei has been around for over a quarter of a century probably in part due to the popularity of the owner Gerry Frank who is a philanthropic , the heir to the Meier and Frank department stores and Senator Mark Hatfield's Chief of Staff for 25 years Frank was named Oregon’s Premier Citizen by the state’s governor. He’s been involved with statewide organizations for tourism and law enforcement‚ and admits to serving on “a couple of dozen” boards‚ among other activities. He’s authored a guidebook to New York and offers up commentaries for various newspaper and television outlets. Current estimates show this company has annual revenue of $1 to 2.5 million and employs a staff of approximately 10 to 19 (http://www.manta.com/c/mmjprnh/gerry-frank-s-konditorei). We strive to have the best quality of our ckes...just like any where things do happen and someone will get something they don't care for...whether it's there taste or not what they expected. We are more than happy to replace "the icky" item....we just want our customer to be happy. So THANK YOU to all our VERY LOYAL CUSTOMERS!!! and to the many that have walked in our doors over the years....and I HOPE THE MANY NEW CUSTOMERS that need to come in and try us out. You have two "great bakers" who make sure you "RECEIVE fresh baked cakes and other products" (emphasis mine)? Can you clarify whether your bakers bake or receive? ...and if they bake the cakes from scratch using quality ingredients like butter, etc. Or is it a premix cake mix? The Konditorei has gone downhill. I first noticed a change when a new baker was hired and many of the favorite cakes were discontinued. Then the long-time manager retired. I have given them three tries in recent months but each time the food was not fit to eat. The cakes and brownies were dried up and stale. The quiche was burned to a crisp. I would have been embarassed to serve it. I won't risk wasting my money again. Anon, These changes are good to know about. I gave up on the place long ago thinking it never really lived up to its inflated reputation. I realize Jerry Frank (of the Meier&Frank Franks) is among Salem's darlings and has done much in and for the community. But that doesn't leak into my price-value equation. I've been thinking about giving it another try. After reading your post, I think I'll stick with the little shop downstairs at the Salem Library where I know I’ll get bang for the buck! Cake and staff has gone downhill since old baker and my fave waitress left. Still good for lunch and smaller baked good (I like the marionberry bar).... but for the cake not to be great in a self proclaimed cake shop is unacceptable. Used to be amazing! It is sad when you read comments about a place that has been a local business for over 28 years. I have never had a bad experience in the 20 some years I have been going there. My kids love to celebrate there birthday with there favorites...Black Out and Fudge Truffle. They are now off to college and always comment on not having there favorite cake... or sandwich.. We have all, at one time or another had a bad experience at some business...do you stop going there??? I for one, will address the problem at the time and hope to rectify it then.. Since someone who works there has been reading these comments: is there anything you can do about the over the top brightness in the place? Feels like stadium lights. Or maybe are you just trying to make it so uncomfortable that people don't loiter too long? That would actually make sense I suppose since coffee shops battle that downtown. People who loiter for hours taking up valuable tables aren't very profitable. Not the place to go for a quick cheap cup of coffee and cinnamon roll while waiting to go across the street for a title company appointment. Neither quick nor cheap. Unfortunately neither the coffee nor the bun were scrumptious enough to make up for the price and the inconvenience. Jerry, call your bakery. I think Gerry would be the first to apologize for any bad food and take care of it then. We had a similer experience, a few years ago, and addressed the issue right then and there...Not only did we receive our cake and coffee on the house, Gerry, himself gave us a gift card for next time we came in. We have been loyal customers since, and have never had another issue. We live the servers..our favorite is Kevin. He is a delight...oh and by the way...2.00 for a cup of hot coffee with refills, is the best bargin in town. I heard that the cakes from Kondetori were actually baked at the "lovin oven" in Stayton..a small bakery run by mennonites. The cakes there can be purchased for maybe $30 as opposed to th $48 that Kondetori sells them for. I can't believe the employees are out and out lying about the cakes being baked there. I believe they might possibly bake some of the bars or brownies but the cakes are definitely baked at the "Lovin Oven". The lemon bars come from Queen of Tarts. If the cakes are not baked on site it could explain dry cake--maybe not as fresh? I trying to understand the employees logic, who state that they are more than happy to replace your slice of cake if it's dry. Why would they ever offer slices of cake that might even be considered dry? They must know how fresh the cake is (when it was brought into the store.) Couldn't they just have a "use by" date when the cake will definitely be fresh and soft and moist? I enjoy the lunch menu very much. I have had several of their salads, sandwiches and soups which were all excellent. Loved the old fashioned "wedge" of lettuce salad, but there are many really, really good ones. I always have some cake too. If the cake is moist and fresh it is incredible. I love konditorei , yeah the decor ia a little quirky but there is something special about celebrating with one of their cakes . I have a family of five and for every birthday we stop in and pick up one of their cakes . Yeah you could make a cake for cheaper at home but you can make everything cheaper at home .We always take the cake next door to our families favorite restaurant the old spaghetti warehouse it pairs well with the free ice cream they give you with every meal . Great food and great memories !!!! 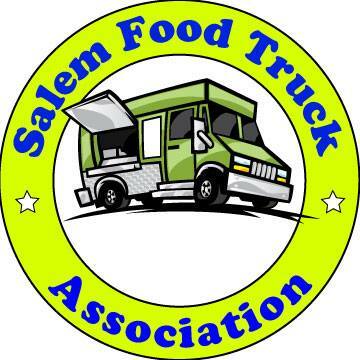 !Hooray for two of salem 's locally owned restaurants love you both !